Whenever I do my workouts at home it never fails….I always have littles crawling on my back when I do planks, pulling on my shorts as I do calf raises, or wanting to be held as I do squats. I used to get frustrated with my kids because my workouts always would get interrupted by, “mom, mom, mom, mom, mom, mommmmmmmm” or at the gym I would have to stop when I would hear on the intercom, “Natalie Hodson to childcare…..Natalie Hodson to childcare”. But with time, I’ve learned to accept the fact that I probably won’t have ‘perfect’ workouts for a long time until my kids are older. I have stopped wishing for the days when I could workout without interruptions because, simply put, that is just not my life right now. Once I changed my expectations and just accepted that this is a phase in my life where things rarely go as planned, I noticed I get frustrated a lot less. Once I let go of the idea that I had to do everything perfectly, I noticed I was more consistent because I did not feel like a failure as often. Sometimes my workouts get cut short because of fussy kids. Sometimes meals get missed because the kids won’t get dressed and move at a snail’s pace in the morning. And that is ok. 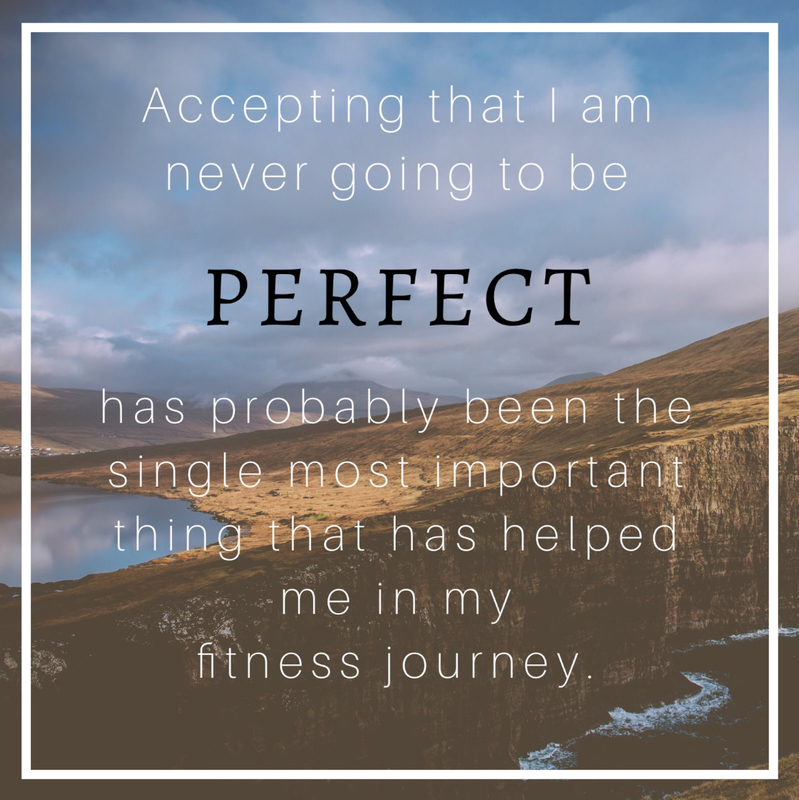 Letting go of the “all or nothing” mentality and accepting the fact that I am never going to be perfect has probably been the single most important thing that has helped me on this fitness journey of mine. Just sharing some thoughts. I hope you find this helpful and encouraging.